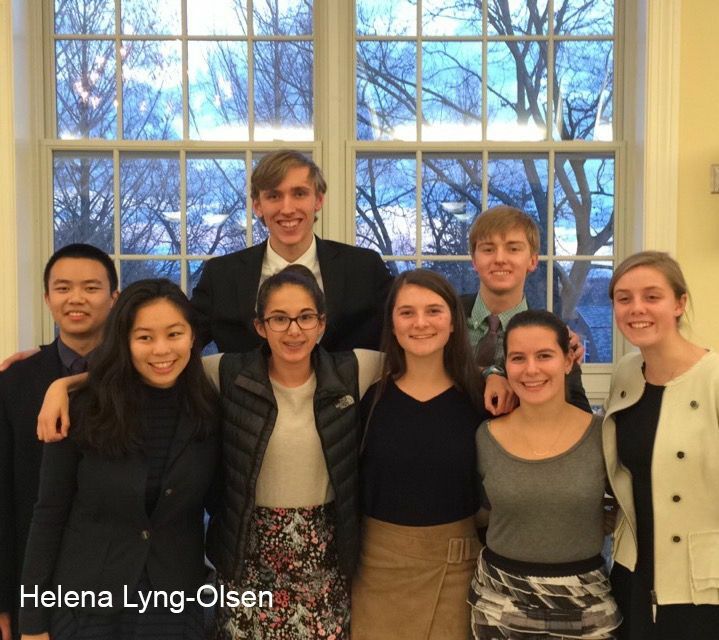 Hopkins Model UN Committee Chairs pose for a picture at their home conference. This December, Hopkins Model United Nations hosted four schools and over 100 student-delegates for its third annual Model UN conference. Since August, Grace El-Fishway ’18, a member of Model UN, has been organizing and preparing for the event by creating invite lists, a website for the conference, itself, and committee plans. Student-delegates’ skills and experience levels ranged as the conference held both novice members looking to participate in their frst conference and experienced members returning from past years. Model UN members solve modern problems while simulating real United Nations’ meetings. During most Wednesday activity periods, students meet with heads Hunter Congdon ’17 and Corrine Wilklow ’17 to prepare for upcoming conferences. At the Hopkins conference, students covered topics such as the Black Lives Matter Movement, Police Brutality, Afrmative Action, and the “First 100 Days Plan” of President Trump. Student heads acted as the chairs of each committee, and gave their student-delegates specific crises to discuss and solve while following parliamentary procedure: a form of discussion that prevents student-delegates from talking over each other.